These were just a few of the comments made by a donut-loving friend last night as he was enjoying a new treat I prepared for our church small group that we host each Tuesday. I had never made them before, so I didn’t know what to expect. They were a huge hit, so you can bet I will be making them again, given the response! I never thought they would be compared to donut holes in terms of taste and texture, but I’ll take it! They are SO easy to make, too. They’ll become a new staple in your house, I’m sure! The recipe is adapted from this one on the Nourishing Meals blog. Tom and Ali have some awesome gluten-free, dairy-free, soy-free recipes, so I will be featuring more of them in the future. 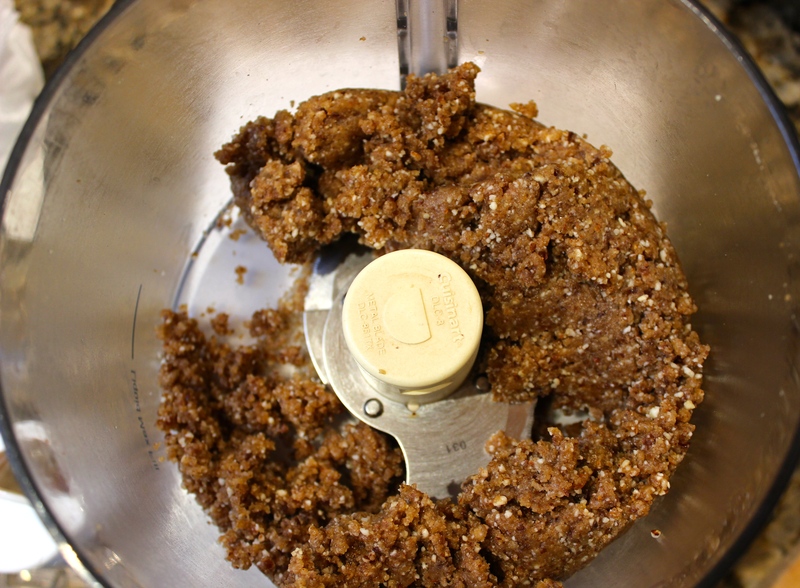 In the food processor fitted with the “s” blade, grind the almonds and walnuts until finely ground. Add the dates, raisins, spices, and salt and grind to a fine meal. Add the almond butter and vanilla extract and process again until completely mixed. I put mine in the fridge for about an hour, so they would firm up a little bit, but you can enjoy them right away, if you’d like! Can’t have walnuts or almonds? Use any other nuts or seeds in this recipe instead! You find Medjool dates in the produce section of the grocery store OR online. We buy ours at BJs Wholesale club in a big container. Trader Joe’s also sells them. If you don’t have cardamom, you can sub in ground ginger, more cinnamon or a combo of nutmeg and cinnamon instead. The cheapest place I have found almond butter is at Trader Joe’s. If you can’t have almonds, sub in Sunbutter. You can find unsweetened, shredded coconut in the baking aisle of most grocery stores or online here. We buy ours at MOMs in bulk. Yummy, yummy! Make these for dessert for us sometime. Next time you come for dinner, you are in charge of dessert! Will do! I will be trying some more in the future and will continue to have you guys be the guinea pigs! These were delicious! Didn’t have cardamom, so just doubled the cinnamon. 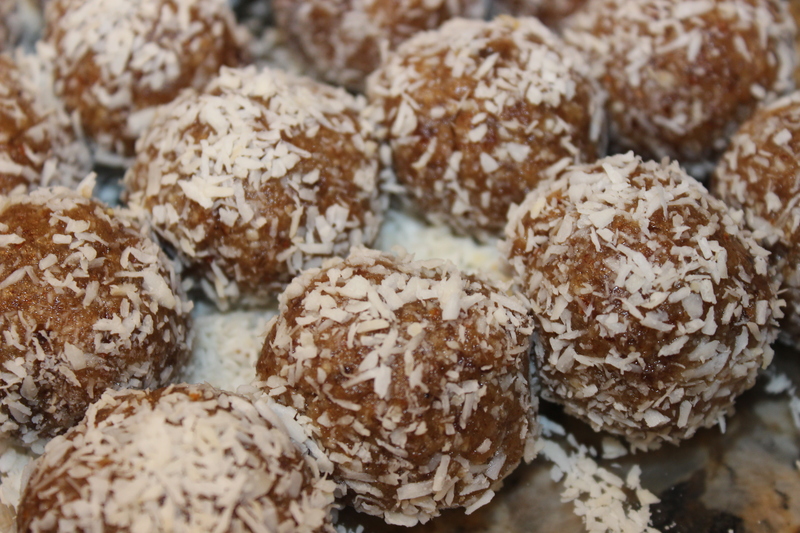 Rolled half in coconut and half in cinnamon/sugar mix. They were a hit! Think I may dip 1/2 of a few in dark chocolate for an extra treat. So glad you liked them, Tara! Love the modifications, too 🙂 Thanks for your great suggestions!